As part of an investigation of Hepatitis A cases, the Virginia state health officials recently issued a public health warning relating to frozen strawberries used by Tropical Smoothie Café. The frozen strawberries, which were imported from Egypt, were used in nearly 100 Virginia locations and are possibly linked to a cluster of Hepatitis A. According to the Virginia Department of Health warning, anyone who has consumed a smoothie from a Virginia Tropical Smoothie Café location that contained strawberries between August 5 and August 8 may still benefit from immune globulin or vaccine to prevent Hepatitis A. To be effective, the immune globulin or vaccine should be administered within 14 days of exposure to the virus. Hepatitis A is an inflammation of the liver caused by the hepatitis A virus. “The classic symptom of hepatitis A is jaundice, which is a yellowing of the skin or the eyes. Other symptoms of hepatitis A include fatigue, fever, nausea, vomiting, abdominal pain, loss of appetite, light-colored stools, and dark urine. Symptoms may manifest themselves 15-50 days after exposure to the virus. People may become infected either by consuming contaminated food or drink or through direct contact with an infected person. It is urgent that infected people, or those who suspect they may be infected, stay home from work. This is especially important for those who work in food service. Officials caution anyone who has consumed a smoothie containing frozen strawberries within the last 50 days to be alert for signs of illness. If you suspect that you may have contracted Hepatitis A, immediately seek medical attention and take steps to prevent spreading the infection to others. Frequent handwashing with warm water and soap before preparing food, after using the bathroom, and after changing a diaper can help prevent the spread of Hepatitis A. Although only the Tropical Smoothie Café has been identified so far, other restaurants and stores may have received frozen strawberries from Egypt. The Virginia Department of Health (VDH), the Virginia Department of Agriculture and Consumer Services (VDACS), the U.S. Food and Drug Administration FDA), and the Centers for Disease Control and Prevention (CDC) are all continuing investigations to identify other locations where the frozen strawberries may have been distributed. Contaminated food can cause very serious injuries or even death. I have extensive experience representing clients who have contracted foodborne illnesses in the District of Columbia, Maryland, Virginia, and throughout the country. Other law firms routinely refer food poisoning cases to me. Mr. Zambri is a board-certified civil trial attorney by the National Board of Trial Advocates and a Past-President of the Trial Lawyers Association of Metropolitan Washington, D.C. The association recently named him “Trial Lawyer of the Year.” Super Lawyers recently named him among the “Top Ten” lawyers in the Metro Area (out of more than 80,000 attorneys) (2014 and 2015). He has been rated by Washingtonian magazine as a “Big Gun” and among the “top 100″ lawyers in the entire metropolitan area (2016). 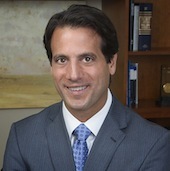 Mr. Zambri has also been acknowledged as one of “The Best Lawyers in America” by Best Lawyers (2016 edition) and has been repeatedly named a “Super Lawyer” by Super Lawyer magazine – national publications that honor the top lawyers in America.